Here we are, nearing the end of #ChristmasCookies Week. Tomorrow will be the last post for me in this event. It seems I've left two boozy ones for the end. Tomorrow's cookie will feature port, and today's is featuring bourbon. Both were my husband's idea, so let this sentence show as official credit to him for this creation. He is a big fan of cocktails, and an Old Fashioned is definitely up there on his list. I can't say I'm in full agreement. I enjoy the garnishes involved (orange and cherries are delightful), and clearly I can get on board with simple syrup (who doesn't love sugar? ), but the addition of bitters and bourbon really, really thwarts it for me, lol. I'm just not a bourbon fan. Bring me ALL the other spirits. I'm not picky. It's just that bourbon nears the bottom of my list. And bitters, well...why?! Ugh. Ok, I know I'm not selling this cookie very well right now, but I just needed to give you that intro to prove that as a non-Old-Fashioned fan, I can attest that this cookie is actually delicious! People who do love the traditional cocktail will also love the cookie, and even non-believers like me can get on board, because, well, it's a cookie. And even with the bourbon and the bitters featured in the drizzle, it is quite tasty. It's a fun and unique cookie. This recipe has been a labor of love. The first recipe I tinkered with resulted in nothing more than an old-fashioned rock. Quite literally, a rock. You probably could have driven a car over it and it wouldn't break. The second attempt resulted in pancake like and very, very greasy cookies. Not delightful at all. The third was just right. Here it is! -Cream together shortening and sugars until light and fluffy. Add egg and bourbon and beat well. - Combine flour, baking soda, powder, and salt. Stir into the butter and sugar mixture. Stir in orange rind. 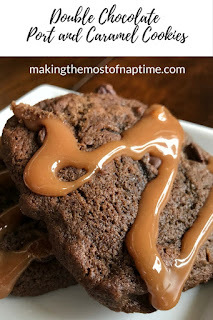 -Drop by heaping teaspoonfuls on a parchment lined cookie sheet. 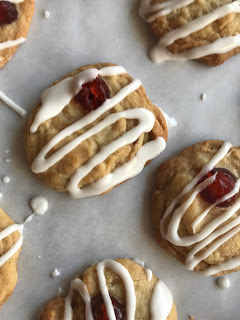 Add a cherry slightly off-centered on each cookie. -Bake in a preheated 375F oven for 12 minutes, or until golden brown. 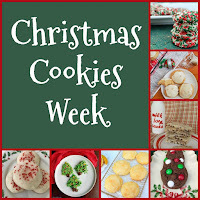 -Whisk together the glaze and drizzle over-top of cookies before serving. Enjoy! 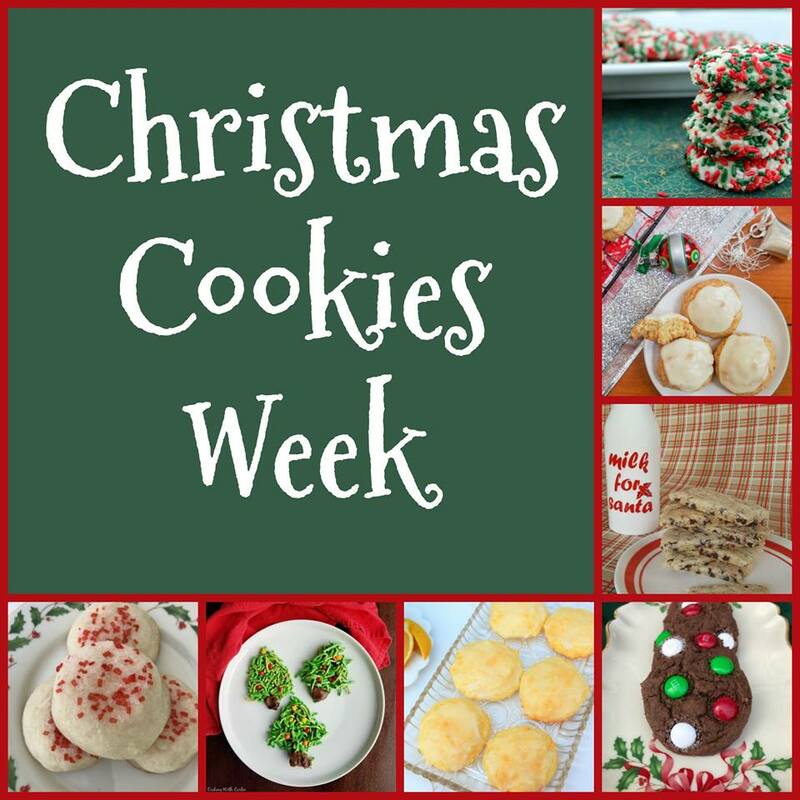 Christmas Cookies Week continues! I'm so excited to share today's cookie, and I'm definitely getting a little concerned about my freezer space when I see several more amazing cookies that I can't wait to try in today's roundup. Thanks again to Ellen of Family Around the Table for hosting this event! Almond is one of my favorite flavors year round, but there's something about the holidays that really makes me love it even more. 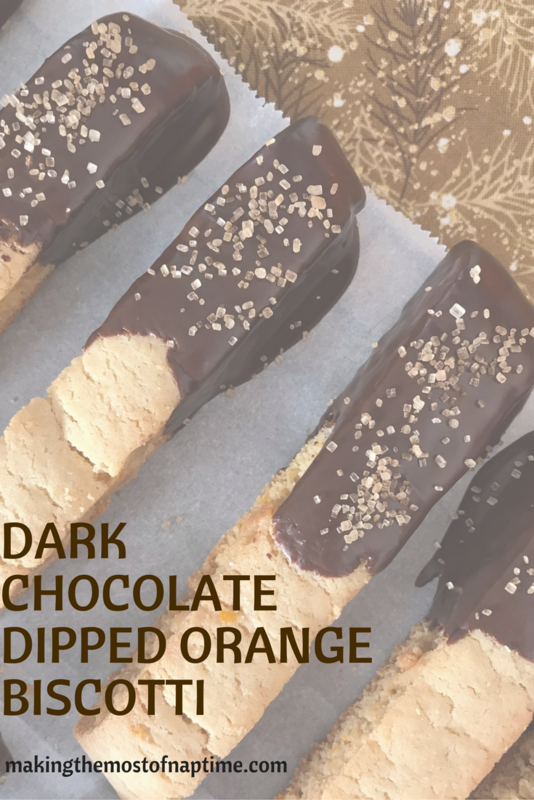 It has always been a staple in my Christmas baking, and it brings back so many nostalgic memories of trays heaped with goodies at holiday gatherings. 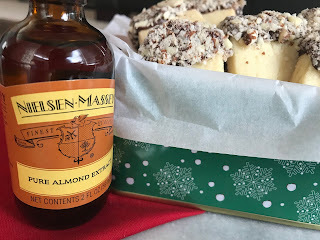 When sponsor Nielsen Massey sent me a complimentary bottle of their pure almond extract, I was thrilled! I always use it in my holiday sugar cookies, and it's a necessary ingredient in countless bars. I thought I'd try my hand at creating a new-to-me cookie using my new almond extract. To make today even better, Nielsen-Massey Fine Vanillas & Flavors is giving one winner a set of their pure flavors: 2-oz each of Orange, Lemon, Peppermint, Almond, Chocolate, Coffee, Rose Water, and Orange Blossom Water. This giveaway is open to residents of both the US and Canada. Ensure to enter at the bottom of this post!